Do you or someone close to you suffer from Anxiety? If you or someone close to you suffer from anxiety attacks, you are not alone! There are thousands of people in our country suffering from anxiety attacks on a daily basis and unfortunately the number is increasing. It appears to be affecting people aged between 15 to 40 years of age. your breath can become laboured. Keep doing this and it will slow the heart down and make you a lot more comfortable and safe. To gain further knowledge of simple, non invasive and inexpensive methods, to help with this problem, take advantage of our free gift to you. 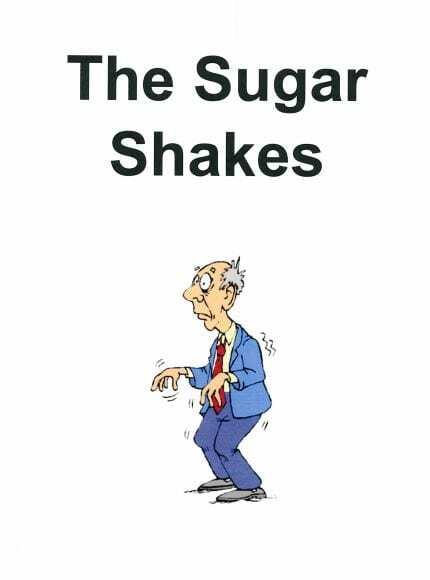 It is a digital download of the Sugar Shakes book. This book will gives you valuable information on how to protect yourself against anxiety attacks. Please use this gift, it will help you.